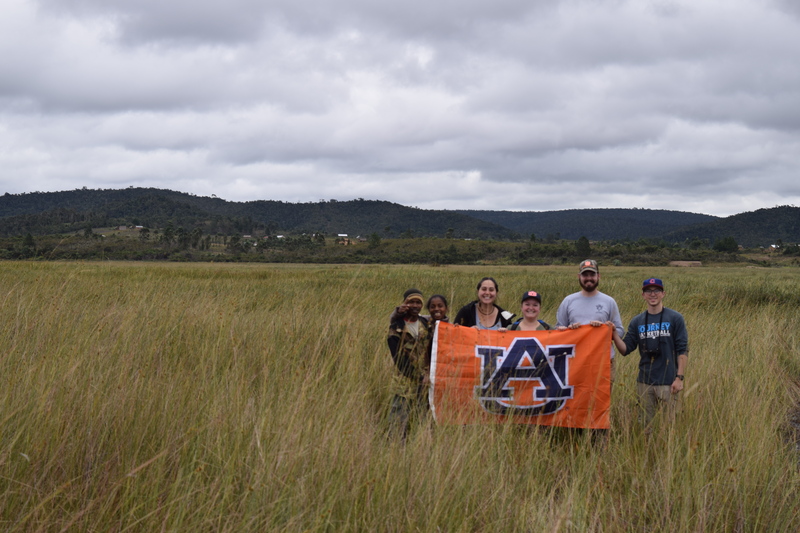 The team is seeking out new One Health research sites in the wetlands of Torotorofotsy, Madagascar. Dr. Zohdy, Jordan Broadhead, Victoria Crabtree, and Gabe Andrle are in Madagascar to study small mammals, herps, their parasites, and how they relate to forest conservation and public health. 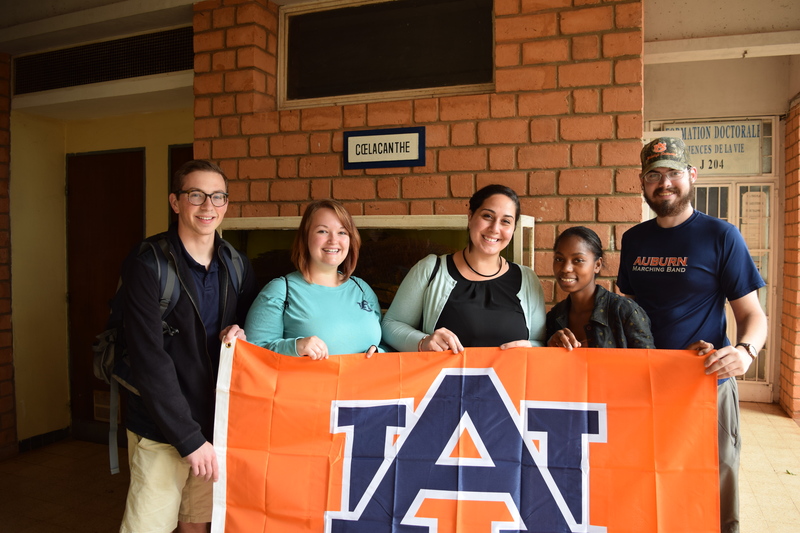 Today we met the University of Antananarivo student Njara who will be helping with the small mammal and tenrec projects. The above picture is of us in front of the type specimen of the Coelocanth. Be sure to follow Victoria’s blog at https://lemursweb.wordpress.com/blog/ for the rest of the summer!